​ONIONS are Fun & Compost is Cool! 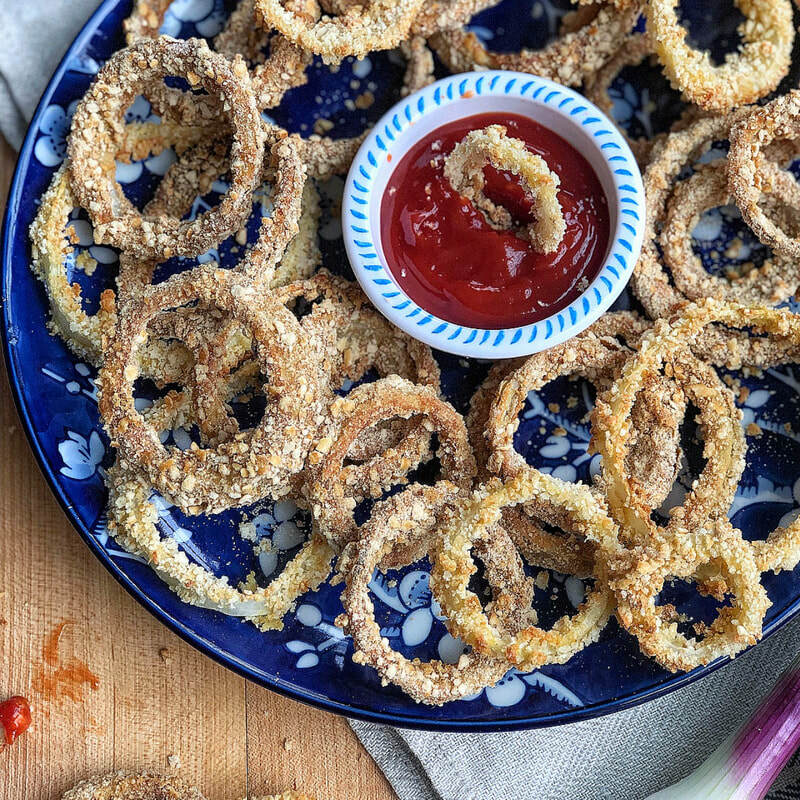 Serve up these baked, crispy rings with ketchup, ranch dressing, or your family's favorite sauce to enjoy as a snack or side dish! We are featuring onions and compost this April here at Veggie Buds Club! Check out this month's subscription box PLUS our recommended children's books featuring onions and compost. Enjoy this fun brownie recipe that you can make with your kids that includes nutrition from peas, avocado, and hemp hearts! Turning food into art can make a once feared food a little more approachable. It doesn’t mean that your kids will automatically eat it all and love it, but they might actually touch it or even try it! These falafel patties are packed with peas! Your little chefs will love adding all the ingredients to the food processor, pushing the button, and helping to make the patties with their hands. Not only are they fun to make, but you can enjoy them in so many different ways. This March is the time to "Give Peas a Chance!" here at Veggie Buds Club! We like to start the month out with a list of recommended children's books featuring the veggie of the month so we hope you enjoy these great books featuring PEAS! Reading about veggies is a great way to make veggies approachable, fun, and exciting for kids. Ants on a log is a super common snack for kids to expose them to the taste and texture of celery. But what about the children that struggle with the intense crunch or the “celery strings”? We're the Irwins, and we love veggies and hope you do too!